Following its Oscar nomination for visual effects today, Marvel Studios and The Walt Disney Studios are bringing Doctor Strange home next month with a Digital HD release on February 14 and a release on Blu-ray 3D, Blu-ray, Digital SD, DVD and On Demand on February 28. 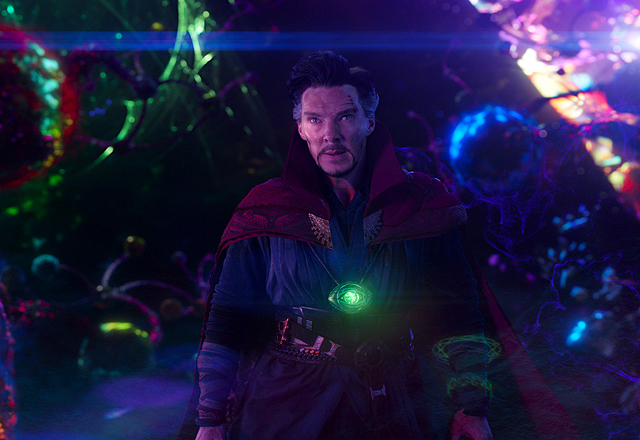 We had the chance to talk to director Scott Derrickson 1-on-1, and we asked him about whether the more overtly supernatural horror elements of the comics (Dracula, Nightmare) might have a place in Doctor Strange 2 and the Marvel Cinematic Universe, which is generally sci-fi oriented. So while Derrickson seemed hesitant to confirm or deny what direction the Strange franchise might take from here, he seemed to indicate that a more overt horror presence was something of a nadir for the comics. He has stated in the past that he considers Nightmare a personal favorite for a Doctor Strange villain, but that doesn’t necessarily mean he will show up in the sequel or be treated in a way closer to the horror genre. Click here to pre-order your copy of Doctor Strange on Digital HD! The Doctor Strange Digital and Blu-ray releases come packaged with over 80 minutes of fascinating, never-before-seen bonus materials, including five behind-the-scenes featurettes, five deleted scenes, hilarious outtakes, part two of the comical mockumentary “Team Thor,” audio commentary, and an exclusive look at the future of the Marvel Cinematic Universe. You can check out the cover art for the release in the gallery below!